* 1000 Island Cruise will close on October 30, the last tour to visit 1000 Island will be October 29, 2018. *Please arrival at least 15 minutes before departure time. We'll depart Toronto early in the morning traveling to Kingston, which was originally established as a fort back in 1673. We'll visit the historical Canadian locomotive and government buildings. Passing by the Royal Military College, Queen’s University and the residence of the first Prime Minister of Canada. Then we will proceed to Ottawa. 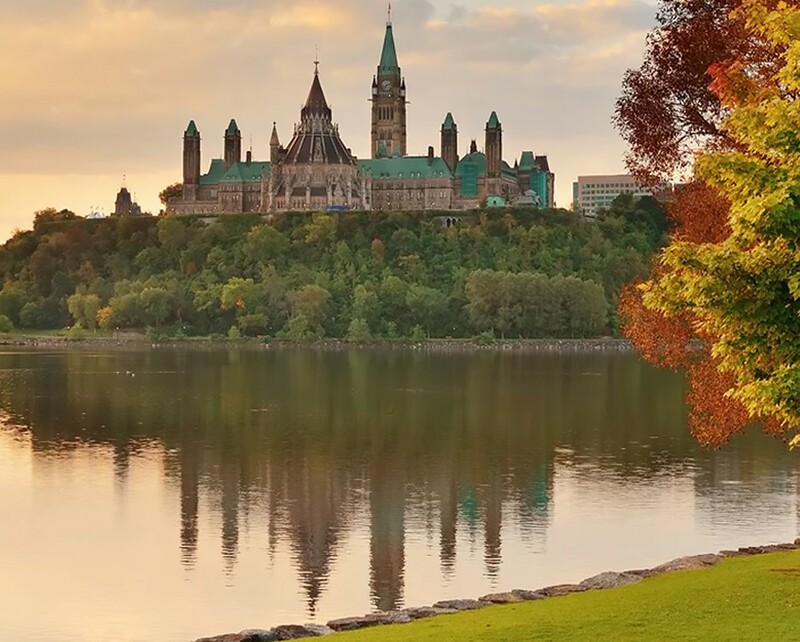 Visiting Parliament Hill (Exterior), Ottawa River, Rideau Canal and the Canadian Museum of Civilization (optional, admission not included). You’ll also have the opportunity to stop by at the Canadian War Museum (optional, admission not included) to visit one of the world’s most respected museums for the study and understanding of the armed conflict. After that, we will pass by Sussex Drive where a number of embassies are located, including the home of the Canadian Prime Minister and Rideau Hall. 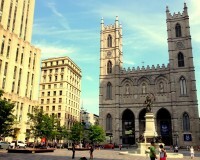 In the evening, proceed to Montreal for an overnight stay. 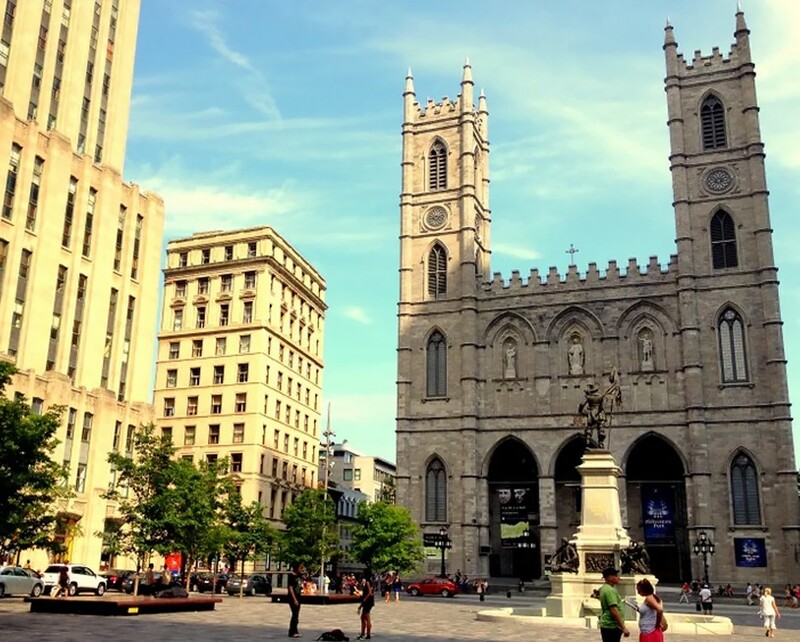 Tour starts with a visit to the beautiful Saint Joseph's Oratory (Donation CAD$3/ person); located atop of Mount Royal and Notre Dame Basilica(Donation CAD$5/person); a masterpiece of Gothic Revival architecture and the crown jewel of Quebec’s religious heritage. Next up will be a tour of the Olympic Park, where the 1976 Olympic Games were held. Later, you may take an optional tour to visit Montreal tower (Fee Applied), the tallest inclined tower in the world. Next, head to the Olympic Stadium (Fee Applied). After lunch, we'll transfer to another French-speaking city - Quebec City. 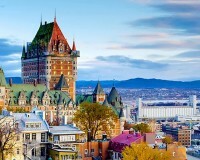 First, we will visit the Quebec tower (Fee applied) to observe the city skyline. Later, we will explore the Old Quebec City and learn its history and importance of its time. Enjoy a delicious French Dinner(Fees applied) and an overnight stay. Tour starts with a visit to the beautiful Saint Joseph's Oratory (Donation CAD$3/ person); located atop of Mount Royal and Notre Dame Basilica(Donation cad$5/person); a masterpiece of Gothic Revival architecture and the crown jewel of Quebec’s religious heritage. Next up will be a tour of the Olympic Park, where the 1976 Olympic Games were held. Later, you may take an optional tour to visit Montreal tower (Fee Applied), the tallest inclined tower in the world. Next, head to the Olympic Stadium (Fee Applied). After lunch, we will visit Quebec Ice Hotel (optional); explore the beautiful Great Hall, chapel, ice slide, exhibitions and Ice Bar. Afterward, we'll transfer to another French-speaking city - Quebec City. 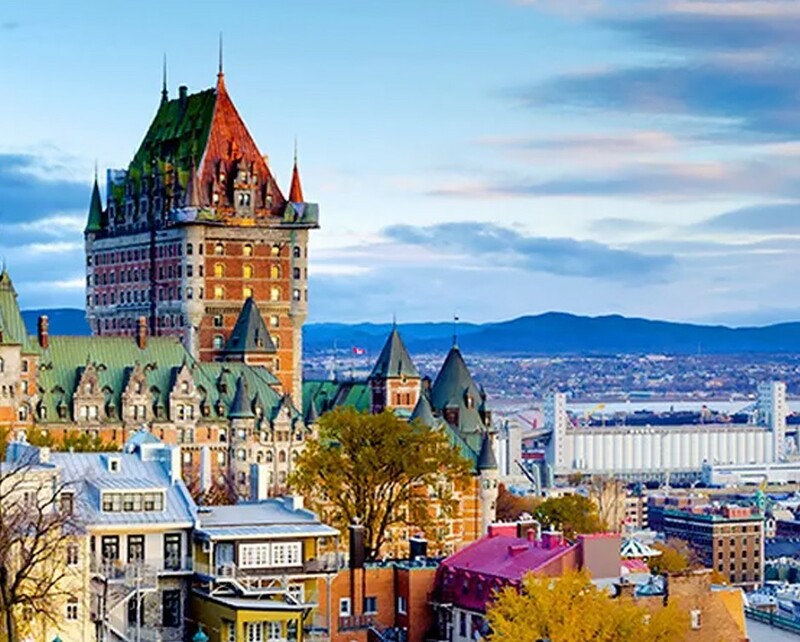 First, visit the Quebec tower(Fee applied) to view city skyline. Later, we will explore Old Quebec City and learn its history and importance of its time. Enjoy a delicious French Dinner(Fees applied) and an overnight stay. 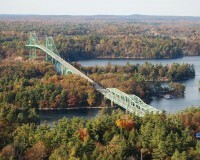 This morning, we embark on a beautiful journey to Thousand Islands. You'll have the chance to take an optional cruise tour (additional cost) to see the historic Bold Castle on Heart Island. (The cruise is only available during summer). Afterward, we'll return to Toronto with unforgettable memories thus ending our fantastic Canada East 3-Day Tour. This morning, you can choose to join an optional tour: Dog Sledding. Later, we will transfer to Thousand Islands and you may take the Thousand Islands Helicopter Ride to see the beauty, romance, and grandeur of the 1000 Islands from the air (optional, admission not included). Afterward, we'll return to Toronto with unforgettable memories thus ending our fantastic Canada East 3-Day Tour. All meals, admission fees or attractions, service fee to the bus driver and tour guide $12 CAD per day per customer ($36/person entire trip) and all personal expense. All fares are based on CAD, for guest only carried USD, should pay extra expense from the difference in exchange rate. Travel Insurance is recommended to customers for traveling. Please consult our sales representatives for details.